Activities for event audience ! Ideas to make an Event interesting ! Event Audience are the reason events happen, everything at the corporate event is focused towards communicating a message to them. Generally, in conferences the audience feels tired when they do not get the words of speaker. Or the talks are out of domain of listeners, it leads to dis interest. It is important then, that in order to maintain audience concentration, a healthy level of interaction be planned. This is what can be termed as an Ice Breaker / Team Bonding exercise / Energiser / Filler activity. There are a lot of activities which organisers plan. Which essentially allow your attendees to either break the ice, take in the content already spoken about or just take their mind off all formalities and have fun. If you are the type of company who likes to surprise their audience, then the Flash Mob is the way to go. A group of people who assemble suddenly. Perform an unusual and seemingly pointless act for a brief time, before quickly dispersing. This is an ideal way to get your audience energised and can be done at regular intervals all through the day. 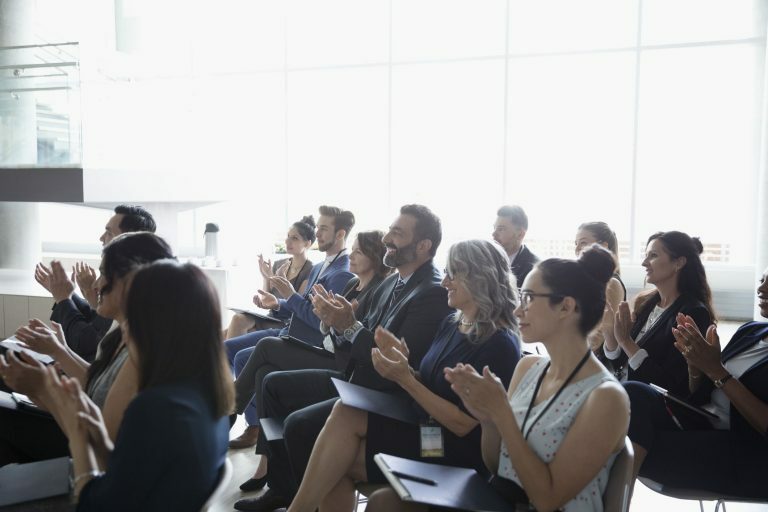 It not only energies your event audiences, but has the ability to quickly transform a formal corporate environment to a fun and unconventional setting and then moving back to a formal environment again. The Drum Circle defines as “The main objective being to share rhythm and get in tune with each other and themselves. To form a group consciousness. To entrain and resonate”. Implementing that same concept within an event can help bring together your entire event audiences and have them perform one common tune. Which creates a feeling of togetherness and is a great ice-breaker. The Drum Circle can be conducted at the beginning or at the end of a conference / seminar / product launch or pretty much any event having a closed door setting. It is another great way to keep your audience engaged. Having the illusionist/mentalist take the stage and perform in between presentations. It can be very engaging and entertaining for the event audiences. You can have the illusionist / mentalist customise their act as per your company products. And have them plan short acts in-between presentations to keep the audience gripped. This is included within the event agenda itself and can or cannot be product specific. Short skits in between presentations can be a great filler to putting forth a message to your event audiences. But through a live performance and not through a presentation slide. Although, this is a tricky form of communication, using humour within the skit is a great way to go about it. The impact a skit would create would entirely depend on the actors performing the skit, hence choose wisely. This is perhaps the most common among all companies as far as energiser activities is concerned. The masters of ceremony can actually make or break your event. Choosing the right person for the job is critical in order to prevent your audience from losing interest. It is critical that in between presentations, the masters create a list of fillers. Which can be used at regular intervals during the day. Just so that your audience does not lose interest in the content you are trying to deliver to them. It takes you months of planning and proper follow-ups to actually get your audience to attend your event. The last thing you would want is for your audience to come there and you not getting enough value from it. Hence, we always recommend to our clients to plan these activities within the agenda and it has given us great results in the past.